27 Jun Falling throughput offers price support. Mutton and Restocker Lambs benefit most from a sharp decline in yarding levels this week across the East coast sale yards. Although, its Merino and Heavy Lambs that are currently top of the table when it comes to year on year price performance this Winter. Figure 1 highlights the price moves this week at the East coast sale yards with most categories gaining 10-30¢. The Merino Lamb and the Eastern States Trade Lamb Indicator (ESTLI) were the only two categories to register a slight decline, finishing 0.5% lower at 651¢/kg cwt. Don’t feel too bad for the Merino Lamb’s lacklustre performance this week as on a year on year basis prices are sitting 3.5% higher and a rampaging wool market are likely to keep Merinos in favour for muc h of this season. The lack of Heavy Lambs in NSW and Victorian sale yards compared to this time last year is helping to keep prices supported. 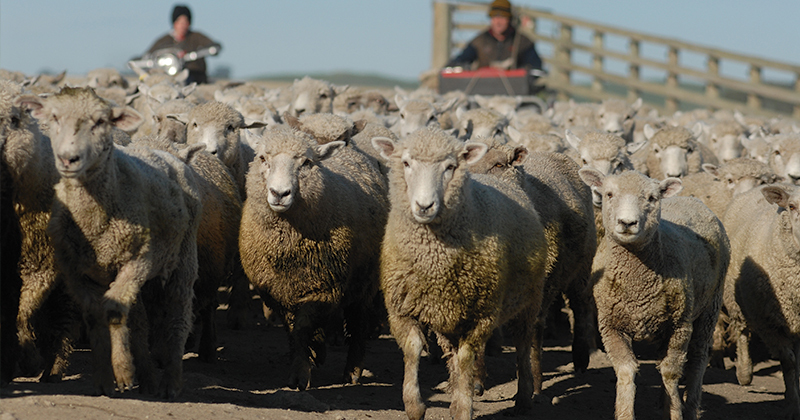 Heavy Lambs gained 12¢ this week to sit at 659¢/kg cwt, 3.7% higher than this time last season. Indeed, over the last month, yarding levels of Heavy Lambs at Victorian and NSW sale yards have been running around 10% below the seasonal average and 30% under what they were during 2017. Lower throughput was a pattern repeated across the broader East coast lamb and mutton markets this week with a 28% decline in lamb numbers (Figure 2) and a 47% drop in sheep numbers (Figure 3), to see both weekly throughput measures back under their respective seasonal average levels for the first time in nearly two months. Below average Trade Lamb yardings in the West over the past few weeks is helping to keep prices supported in WA too with the WATLI 1% higher on mid-week price quotes at 634¢/kg cwt. Although the big news in WA sheep circles this week was the worrying announcement by Livestock Shipping Services (the second largest live sheep exporter out of WA) that they are placing a temporary halt on their Australian operations and focusing on the South American live sheep trade. The rainfall forecast for the week ahead points to some moderate falls for Eastern NSW, South East Queensland and WA, but little elsewhere. It’s probably not enough to get prices surging but if the dwindling supply continues that should provide enough support to keep prices reasonably firm in the short term.